Silver 2016 Nissan Quest Platinum FWD CVT with Xtronic 3.5L 6-Cylinder DOHC ABS brakes, Alloy wheels, Bumpers: body-color, DVD-Audio, Electronic Stability Control, Entertainment system, Front dual zone A/C, Heated door mirrors, Heated front seats, Illuminated entry, Low tire pressure warning, Navigation System, Power door mirrors, Power Liftgate, Remote keyless entry, Roof rack: rails only, Spoiler, Traction control, Turn signal indicator mirrors. Hello, I would like more information about the 2016 Nissan Quest, stock# BU2551A. Hello, I would like to see more pictures of the 2016 Nissan Quest, stock# BU2551A. 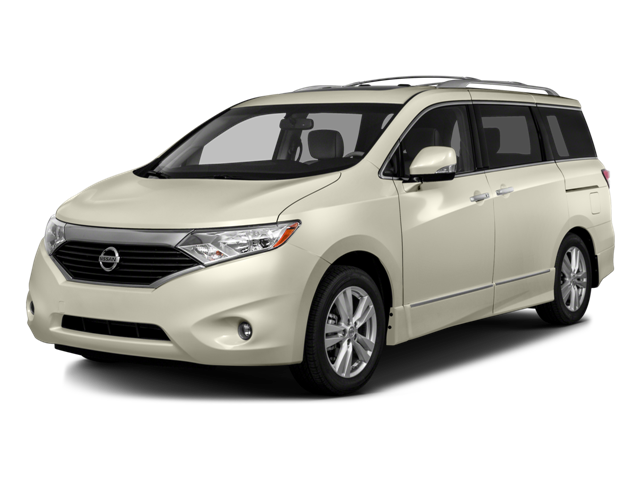 Ready to drive this 2016 Nissan Quest? Let us know below when you are coming in, and we'll get it ready for you.